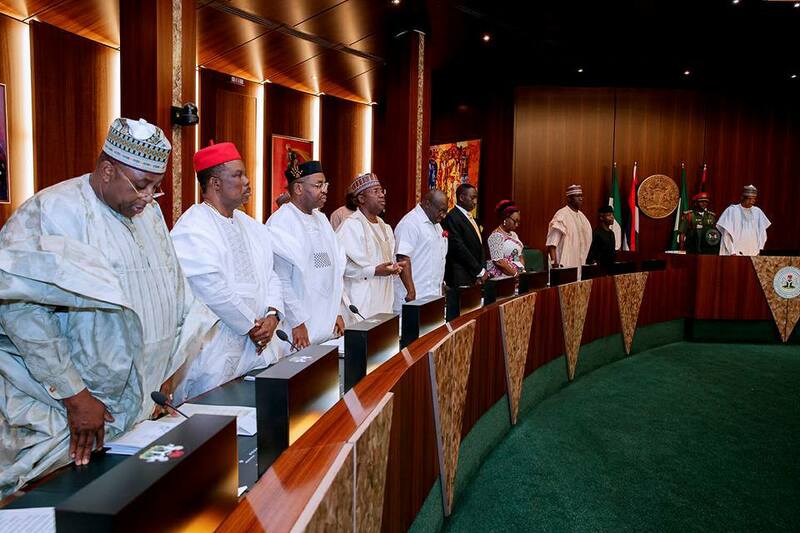 Council of States okays $1bn funding for agriculture, livestock. Council of States has recommended that an additional $1 billion be spent on the agriculture sector from its present $200 million. The decision was reached at its meeting presided over by President Muhammadu Buhari at the presidential villa, Abuja. The meeting, which was the third since the inception of the present administration, lasted for about six hours and was attended by Vice President Yemi Osinbajo and three other former Heads of State including Gen. Yakubu Gowon, Olusegun Obasanjo and Gen. Abdulsalami Abubakar. The fund is expected to be disbursed through Anchor Borrower and Commercial Agriculture Credit Scheme (CACS) Programmes, to encourage diversification of the economy and promote food security. Governor Ibikunle Amosun of Ogun state who was one of the governors who briefed State House correspondents on the outcome of the meeting said the meeting deliberated extensively on how to diversify the economy and efforts being made to pull Nigeria out of doldrums. Amosun said Council recalled that at the inception of the administration, it had lean finances because of the low price of crude oil. Amosun said Council also noted that Nigeria had moved 24 places up in the ease of doing business but added that there is a lot more to be done. Governors present were those of Sokoto, Delta, Adamawa, Imo, Benue, Lagos, Nasarawa, Abia, Bauchi, Jigawa, Kebbi, Plateau, Kano, Wike, Akwa Ibom, Edo, Ekiti, Kogi, Zamfara, Osun, Ogun, Niger and Ebonyi. Bayelsa and Enugu states governors are represented by their deputies. Attorney General of the Federation and Minister of Justice, Abubakar Malami was also in attendance.